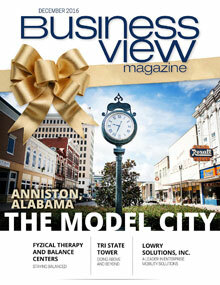 Business View Magazine profiles Fyzical Therapy & Balance Centers , a national franchise company that offer physical therapy and balance programs. 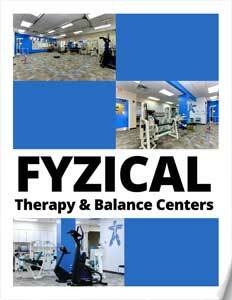 FYZICAL Therapy & Balance Centers is a national franchise company offering physical therapy, balance retraining and fall prevention, sports rehabilitation, and individualized fitness and wellness programs. The company was founded in 2012 by Jim Abrams, an original franchisee of the Weight Watchers company, who went on to found several other successful, national franchise brands, including Service Experts, Clockwork Home Services, One-Hour Heating and Air Conditioning, Benjamin Franklin Plumbing, and Mr. Sparky Electrical Services. FYZICAL Therapy began franchising in 2013, and today, has a total of 192 locations, 17 of which are company-owned. BVM: Can you begin by talking a little bit about Jim Abrams and the founding of FYZICAL Therapy? DiMauro: “Jim has a history of disrupting industries. His specialty is business. In every industry he entered, he began providing small business expertise to small business owners that had never received formalized business training or education. When thinking about physical therapy, and the medical profession as a whole, he discovered that physical therapists – PTs – did not receive any formal business education while in PT school. So, identifying a need, where the industry is comprised of thousands of independent physical therapists who, traditionally, don’t know anything about business, he felt there was a real opportunity in terms of applying his business knowledge acquired over decades building big, national brands, into a niche area. “When he was looking at how he would build an organization, studying macro-healthcare trends, he saw America is aging – we have ten thousand Baby Boomers retiring every single day. He realized that balance and vestibular dysfunctions were a huge, unmet need in the United States and would continue to increase as America ages. So, early on, he went to look for a balance program that he would be able to formalize up and export into franchisee’s businesses. BVM: How did the company first launch its franchise operations? BVM: If I were a practicing physical therapist, why would I want to convert and become a FYZICAL franchisee? BVM: So, in a sense, you’re cross-selling. BVM: Who are your potential franchisees? BVM: How do you vet your franchisees? And then, once you have decided that they are potentially good prospects, how do you train and support them? DiMauro: “In terms of vetting, it’s very different based on both target demographics. The way that we vet PTs is vastly different from otolaryngologists. I’ll start with the ENTS – that’s what we call them, for short. Otolaryngologists are in the top one percent in terms of difficulty to become that type of specialist as a physician. We already know they are, very clearly, able to operate a medical practice and have no concerns with the patient care aspect. So, the vetting comes more on the business side: ‘What type of manager are you? What type of capital do you have available? Do you have enough space to be able to build a balance center? To this day, we have not run into an otolaryngologist that has not qualified. Otolaryngologists make a very good living as surgeons; so typically, there are no capital restraints with ENTS, whatsoever. The only challenge that we come across, from time to time, is space. So the opportunity may warrant moving an entire practice into a larger building to accommodate a balance center. To sum up our vetting process for ENTs: they must be a private practice and not owned by a hospital. BVM: When you award a franchise to an otolaryngologist, where do they get their physical therapy personnel? BVM: Do you then train then those physical therapists in your own systems? BVM: Are there any other companies doing what you’re doing? BVM: Has anything occurred recently or in the near-term future that will impact the way you do business? DiMauro: “Because we found the clinical integration between audiology and physical therapy to be so substantial, we are going to begin working with private practice audiologists by helping them add a balance center to their practice. In addition, we are going to be moving, for the first time, into the financier marketplace and assist with start-ups within healthcare. Our model is now at a point where we can begin targeting financiers. So, in 2017, our target demographic begins to extend to include: audiologists, financiers, and other physician specialties. BVM: You mean that a potential franchisee can have little or no background in the medical field, but can still utilize FYZICAL Therapy as an income producer? BVM: Do you have multiple franchisees or do most of your franchisees have one unit? BVM: What are the company’s objectives for the long-term, say five years out? Check out this handpicked feature on Injured Veterans Invigorated at Healing Yoga Session.